This graphic organizer helps students learn new vocabulary words through native language translation, pictures, and practice using the vocabulary word. This downloadable handout was created for elementary school students at Pre-intermediate (A2) level. 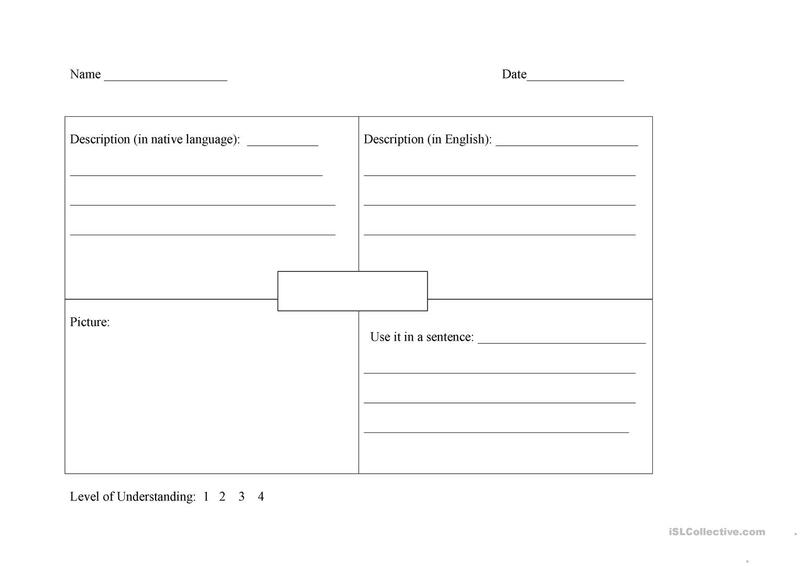 It can be used for honing your learners' Spelling and Writing skills. It is about the vocabulary topic of American/British English. Lrubs is from/lives in United States and has been a member of iSLCollective since 2012-10-17 19:32:32. Lrubs last logged in on 2017-04-24 14:14:41, and has shared 1 resources on iSLCollective so far.